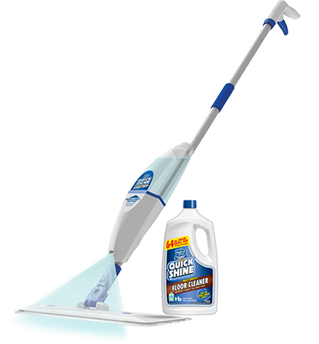 Dry dust mop prior to applying Quick Shine® Multi-Surface Finish or Hardwood Luster Finish to remove any dust/debris from your floors. 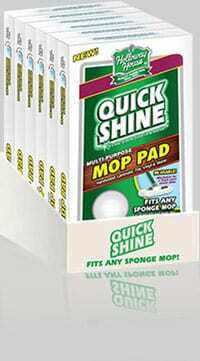 After floor is free of debris, pet hair and dust, squirt Finish in an S-shape onto floor. 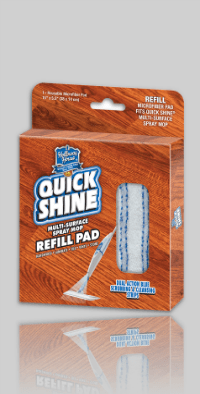 Quickly spread the finish with our Quick Shine® Hardwood Floor Mop using broad, even strokes with a slightly dampened microfiber mop pad. Dries to a gloss in 30 minutes. After floor is completely dry additional coats can be applied using the same method as above if a higher gloss is desired. Allow the 1st coat to dry for several hours before applying these additional coats. 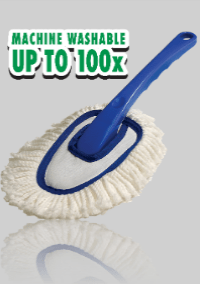 Keep the finish glow fresh by dry dusting weekly with a dry microfiber mop to eliminate everyday dust and debris. 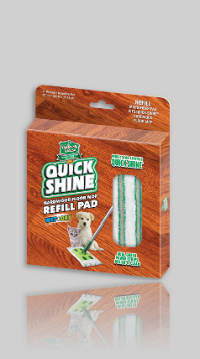 For small spills, paw prints, or foot prints clean with our Quick Shine® Daily Care spray cleaners. Simply mist area and wipe clean with a damp microfiber cloth. 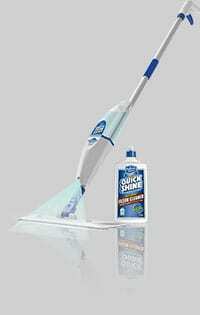 For a large area, or to clean heavier dirt or soil use our Quick Shine® Cleaners in our Quick Shine® Spray Mop for quick and easy cleaning. 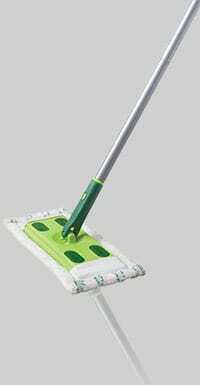 The squirt-top cleaners can also be used directly on the floor. 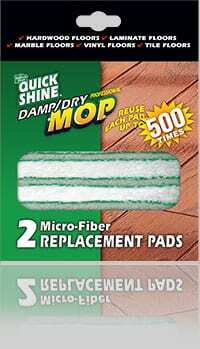 It is important to rinse and wring the pad frequently in order to release the dirt from the pad to prevent streaking and hazing. Every 2-4 months reapply a fresh new coat of Quick Shine® Multi-Surface Floor Finish or Hardwood Floor Luster to enhance the glow. Each time you refresh repeat the “Maintain It” bullet points above for maximum gloss protection. Establish floor mats or throw rugs at entryways and walkways to minimize the abrasion of the finish caused by dirt and grit tracking. Place felt-tipped protectors on bottoms of chair and furniture legs. Try going shoe-less as barefoot/sock traffic is better than shoe traffic.